Aren't they beautiful? Here's how 'ghost apples' formed on this apple tree in West Michigan. 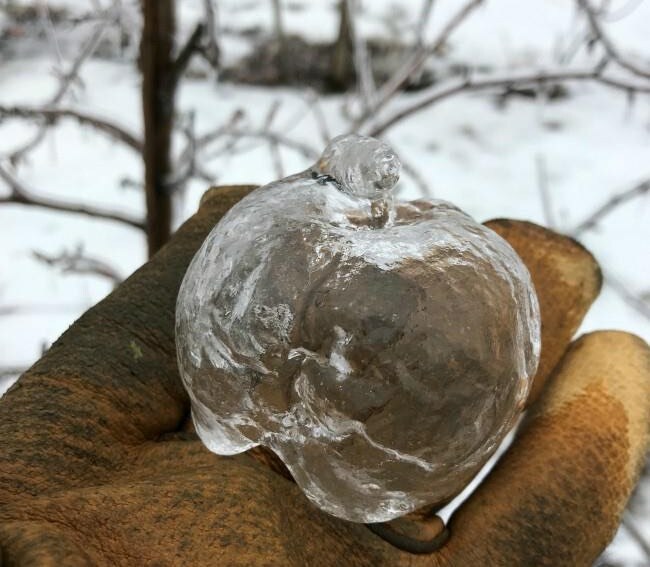 Ice forms on rotting apples, and as the apples decay, they slide down and out of the ice that is left behind hanging off the apple tree branches. Sietsema said Jonagolds are one of his favorite apple varieties, "but we'll call these Jonaghosts." PHOTOS by Andrew Sietsema, shared courtesy of WOOD TV 8 of Michigan, via their Facebook page.